You might not put much thought into the types of hob you have on your cooker but you really should! 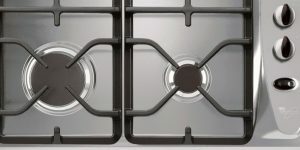 Each of the five main types of cooker hob is very different and they all have their own advantages and disadvantages. There is no one best type of hob to get because it will all depend on what you want from a cooker. So, to help you decide which type of hob is best for you needs let’s take a look at each of the five main types in more detail, shall we? Ceramic hobs are one of the most common types of hobs, they are seen on electric cookers and are quick and easy to clean. Compared to some of the more traditional hobs it can’t be denied that ceramic hobs have a certain modern look and feel to them. They are smooth and in some ways, even a little futuristic, due to their electric design ceramic hobs are easy to use and learn making them ideal for people who are new to cooking. 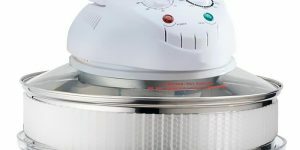 But while they certainly have many benefits and are one of the most modern hobs available there is one downside to consider. Ceramic hobs don’t generate heat as evenly as more traditional hobs which means heat won’t distribute as effectively. 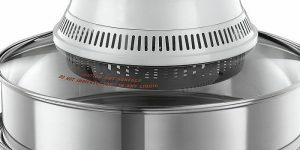 This can make cooking certain foods a little more difficult and if you go from a gas cooker to an electric one the difference might be more noticeable. Probably the most well-known and some would even say traditional kind of hob available, gas hobs are easy to control and give instant heat. With a little practice these hobs are easy to use and well they might seem a little more old-fashioned today they still have plenty of great benefits. Gas hobs generate heat very effectively which means they can generate heat effectively across pans. 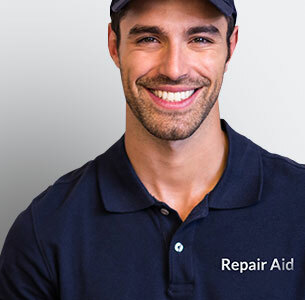 However, cleaning a gas hob will require a bit more elbow grease and hard work so make sure you take that into account. An innovative twist on the traditional gas hob these more stylish gas on glass hobs offer a great hybrid of ceramic and gas hobs. They are basically gas hobs with a mounted ceramic glass lid on top they are easy to use and distribute heat evenly and effectively. Because of the glass countertop on them, they are also quick and easy to clean and certainly have more style points than a traditional gas hob. However, they can take a while to heat up effectively and they require more careful and precise control. They are also generally more expensive than some other kinds of cooker hobs as well so make sure you take that into account. Electric plate hobs are a more cost-effective option however while they are certainly more budget-friendly they still have plenty of value. They are basically the four main hobs you’d find on top of a cooker but without any of the other compartments like an oven or grill. As the name implies these hobs are powered by electricity and there are four ring hobs to use, they can heat up pots and pans reasonably well but aren’t really going to compare to the other more expansive types of hob available. While they may be a more cost-effective and budget-friendly option electric plate hobs still have their uses and should defiantly be considered. If you don’t have a big kitchen or don’t cook much an electronic plate hob is a great alternative. Induction hobs are quickly gaining traction and they offer a very innovative and clever twist to the other kinds of hobs we’ve looked at. Induction hobs use a magnetic field that is between the induction element (found in the hob) and the cooking pan. This means only the pan will actually heat up the cooking surface will stay cool to the touch! As you can guess this make keeping the hobs clean and tidy quick and easy. It also offers a more safe alternative to many of the other types of hob as well. If you’ve accidentally burnt yourself cooking before well that won’t be a problem with an induction hob. The magnetic field also means the pan will heat up more quickly and evenly and it also means actually using your hob will be cheaper. Induction hobs are energy efficient, modern and easy to use however the bad news is they can be expensive and they only work with compatible pots and pans. So, if your pans and pots aren’t compatible you’ll need to buy new ones first.